The post office at the Sherriff Centre was still closed this morning following the robbery that took place on Saturday afternoon. 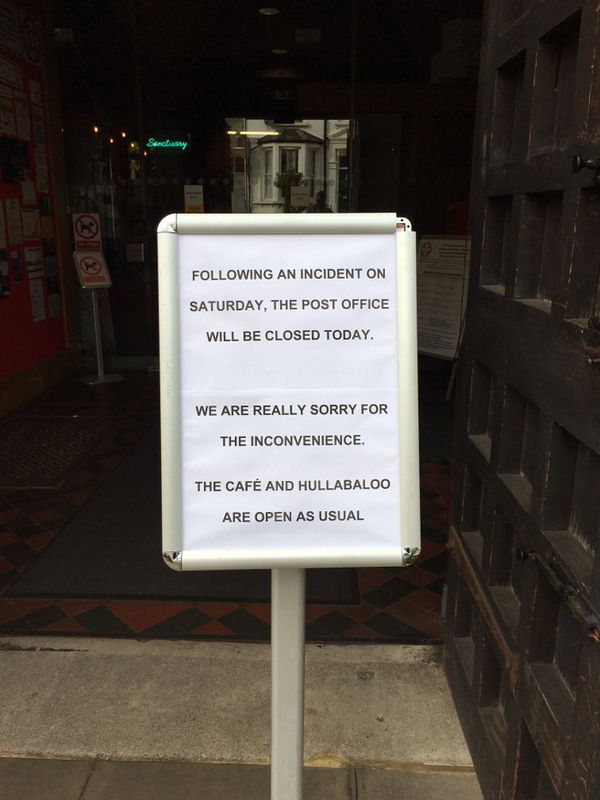 The café and Hullabaloo soft play centre are open as normal, but post office staff were explaining the temporary closure to a steady flow of customers. Post Office at Sherriff Centre closed temporarily. One of the staff members, Robert, a familiar face behind the counter, explained that he was behind the counter on Saturday when the robbery took place. “It was around 4pm and not very busy when a tall skinny man came in. I was serving a customer and instead of standing back he stood to the side of her, which was unusual”. “Oddly, he was quite quiet for most of the time but when challenged as he raided the till he growled” a still slightly shaken Robert recalled. Not only is there CCTV in the centre but a number of parents who were in the Centre at the time took photos of the robber with their phones so there are some good leads for the Police. The reason the Post Office is still closed is that staff are waiting for an audit to see exactly how much was stolen. However, they are hopeful that this will happen soon and it will be service as normal by this afternoon. 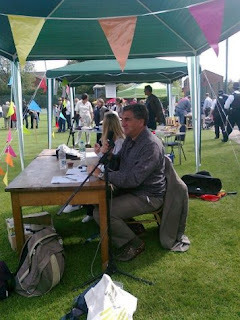 Father Andrew Cain (who has form for dealing with criminals! ), the driving force behind the successful Sherriff Centre said that “the staff behaved professionally, the local community helped by taking photos for evidence and this incident isn’t going to stop us doing what we need to do”.